Deborah K. "Debbie" Warner, age 63, of Alexandria, passed away on Monday, January 14, 2019 at her residence after a brief illness. Debbie was born on May 20, 1955, in Anderson, to James Newman and Joeann (Hall) Blackshear. Debbie graduated from Highland High School in 1973. She proudly served her country in the US Army National Guard. Debbie was formerly employed by General Cage in Elwood and Firestone in Noblesville, IN. She was a member of St. Joseph Catholic Church. Debbie enjoyed doing Karate where she was a third degree black belt. Debbie enjoyed gardening and taking care of her puppies. She loved to spend time with her family, especially her grandchildren. 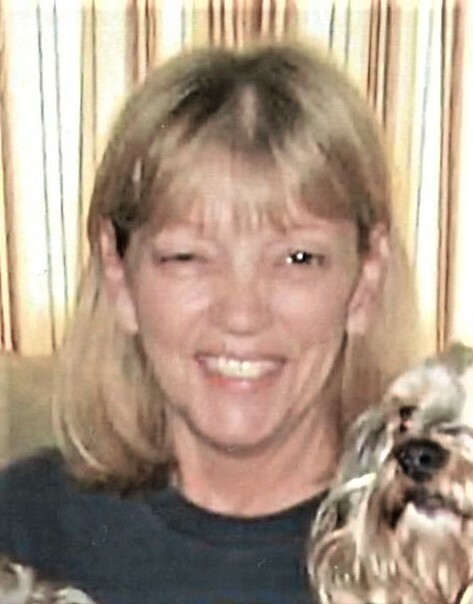 Debbie is survived by her loving husband, of 32 years, Chris Warner of Alexandria, two sons, Chad (Amber) Warren of Muncie and Christopher Warren, daughter, Trista (Paul Werline) Israel of Elwood, two grandchildren; Alexis Warren & Amara Werline, two sisters, Diana McCormack of Anderson and Suzanne Muterspaugh of Nashville, TN, several nieces & nephews. Debbie was preceded in death by her parents James Newman and Joeann Blackshear, a niece, Cori Hannah. Funeral service celebrating Debbie's life will be held at 1:00 PM, Friday, January 18, 2019 at Dunnichay Funeral Home, Elwood, with Father Dan Duff officiating. Burial will follow in St. Joseph Catholic Cemetery. Visitation Thursday, from 4:00 pm - 8:00 pm, at Dunnichay Funeral Home, Elwood. In lieu of flowers memorial contributions may be made to the Elwood Animal Shelter.